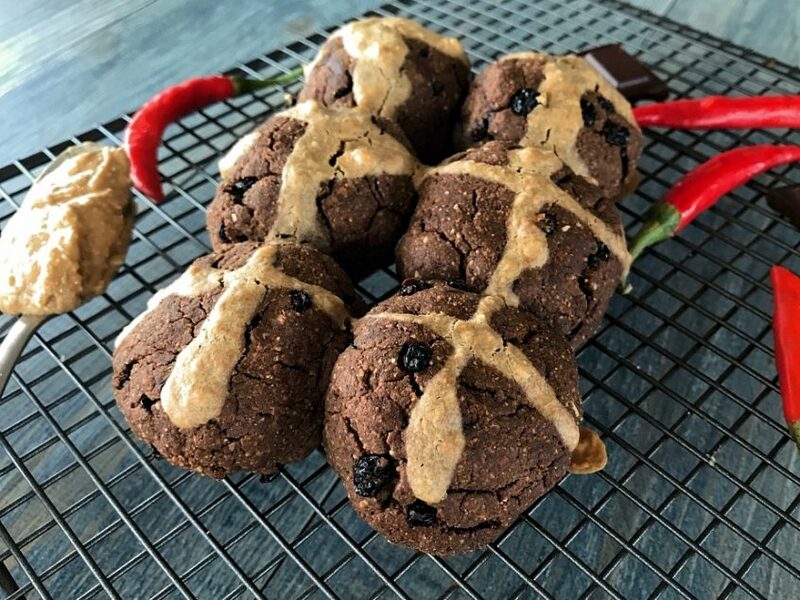 Why settle for the same old Hot Cross Buns when Easter comes around each year? Why not change things up this year and give your batch of HCBs a little kick? 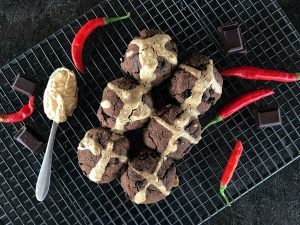 These Choc-Chilli-Peanut Butter Hot Cross Buns will definitely fit the bill. You can also try my Incaberry, Ginger, Tahini & Molassess HCBs for another different flavour! Whisk wet ingredients together in another bowl then add to dry ingredients and combine well, using your hands if you need to. Mould the mixture into 12 mini-buns, or 6 larger buns, and place on a baking tray lined with baking paper. In a small bowl, whisk together 2 tbsp peanut butter with 2 tbsp water. 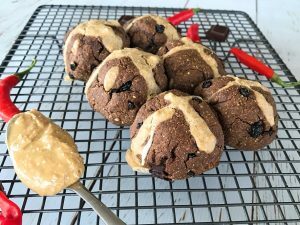 Using a spoon, carefully drizzle the peanut butter/water mixture down the middle of the buns (both directions) to create crosses. Place in the oven and bake for 20mins. Remove from oven and allow to cool before devouring!